Ochsner's Tobacco Control & Prevention Program, started in early 2012, provides information about the health risks of tobacco use including best practices for cessation, the newest products, and future tobacco issues. The program regularly partners with area schools and community organizations to provide educational materials and support. It also works with various groups during national events like Kick Butts Day and No World Tobacco Day. The Tobacco Control Program attends health fairs, corporate wellness events, and school events to continue reaching out to the community and to promote the Louisiana Quitline and other aids to cessation. For more information, please contact us at communityoutreach@ochsner.org. Assisted the City of Hammond in gaining designation as the World Health Organization's 69th International Safe Community, the first in Louisiana and 16th in the U.S. The program will assist in the expansion of Ochsner’s Smoking Cessation Clinics to Baton Rouge, Raceland and the West Bank. 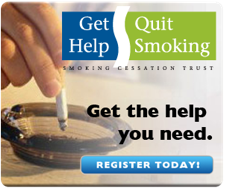 Please go to www.ochsner.org/stopsmoking to learn more. All these efforts will support the ultimate goal of seeing an overall trend in Louisiana of reduced tobacco adoption amongst youth and increased cessation among adults. Ochsner will continue to work with the Institute for Wellness and Health Policy to promote health policies that will improve quality of life for the citizens of Louisiana.